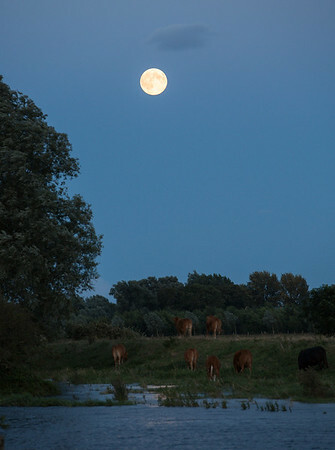 Closest supermoon for 20 years rises over the River Great Ouse near Flat Bridge Farm, Cambridgeshire. Taken with Canon 5Diii and EF70-200 mm f/2.8 at 200 mm. Exposure was 1/80 sec at f/4.5; ISO 400.